Last chance to VOTE in Round 1! - Oddly Aroused! Last chance to VOTE in Round 1! 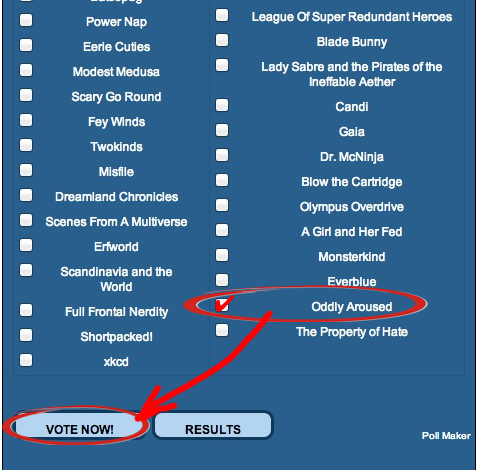 Scroll down to the bottom of the page till you see Oddly Aroused, checkmark the box beside the name, then click VOTE! Liked it? Take a second to support Jim Collins on Patreon! By This Sword I Rule!